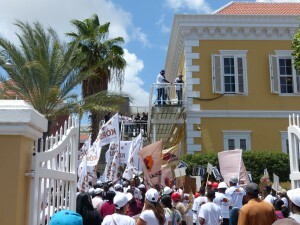 WILLEMSTAD – Several political analysts who are following the electoral developments agree that it is important to have international observers on Election Day on the island. “This way will we not have any doubts on the results of the election,” said one the analyst. “What about someone at the level of Jimmy Carter?” said the analyst referring to the work done by the former American President in Venezuela and other countries.